– Cruise through the first weeks of your newborn’s life with these high tech tools! The first few days and weeks of being a new parent can be incredibly stressful, but you don’t need to worry anymore with these handy iPhone apps made specifically for parents of newborns. Perhaps one of the most stressful transitions for a new mother after bringing home baby is learning how to nurse her baby. 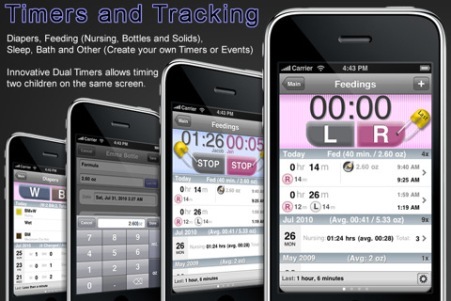 Breastfeeding Management, the iPhone app, helps you with the challenges by giving you practical tools for tracking and learning better breastfeeding methods. Developed by the Massachusetts Breastfeeding Coalition. The Baby Shusher is the newest tool in the gadget-minded parent’s toolbox. This iPhone app uses the ancient shushing technique to soothe crying infants by playing rhythmic sounds that replicate the noise in the womb. You can set the app to run for a specified period of time, after which it will turn off (up to 8 hours). 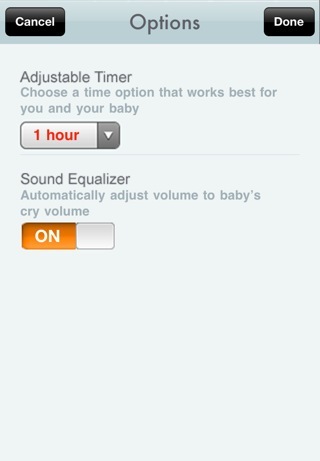 It even has a sound equalizer so that it adjusts as the baby settles down. Do you have a case of the baby brain? 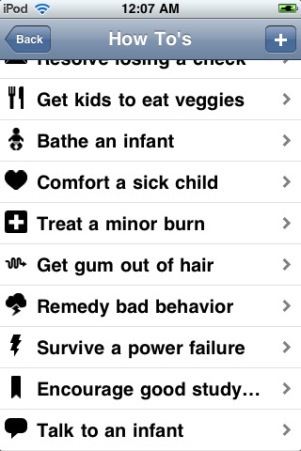 Then check out this new iPhone app for parents of infants. This new app makes it easy to track feedings, diaper changes, and sleep patterns easily and simply. Built by parents, Baby Brain takes the stress out of scheduling and monitoring your baby’s routine after bringing home baby. 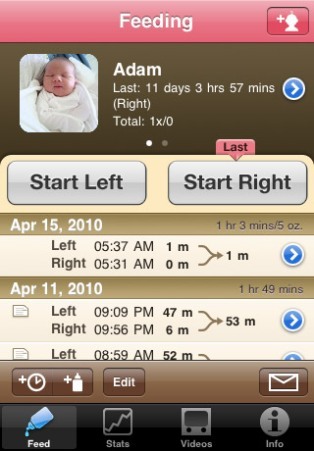 Another app that helps you track your baby, the Total Baby iPhone app is a great choice. You can record doctor visits, milestones, growth rate, vaccines, allergies and more. 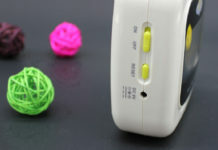 They also have a timer/tracking function for use with tracking diapers, sleeping, bathing, feeding, and other activities. It even has features that let you track multiple children, including twins. 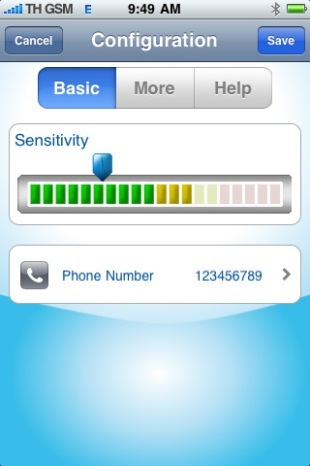 Turn your iPhone into a baby monitor with BabyPhone Deluxe. Using your phone’s built-in features, this app will monitor your baby’s noises and give another phone a call if you need to be notified. It filters for short sounds like coughing and has an unlimited range, too. 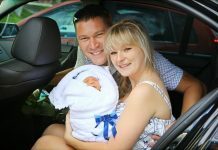 Bringing home baby can be stressful, but not with Baby Michael at your side. This little app works with you every step of the way to help you monitor diaper changes, feedings, tummy time, sleep, wake, and baby’s stats. 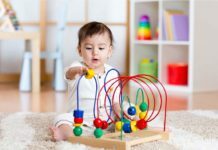 You can record your baby’s vocalizations, take pictures, and track daily totals for various metrics. Don’t let postpartum depression get the best of you! Simply take the quiz and open the doors of communication between you and your caregiver. The quiz results will be sent to your person of choice so that they can know how you’re doing and take steps to help. 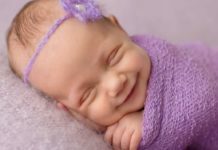 Create your own soothing white noise with Baby Sleep. This iPhone app uses 10 songs (like Twinkle, Twinkle and Rock a Bye Baby) to help your child drift off to sleep. Includes fun plush animal images for your child’s viewing pleasure. Once your baby is a little older, use this iPhone app to start to teach him baby sign language so that they can communicate even before they talk. The app shows you how to make the signs for the most essential words and gives you tips for teaching your child. If you’re a new parent looking for expert answers for all of your newborn questions, then get your hands on the Infant Care iPhone app. 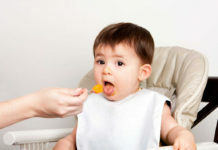 Whether you need to know which foods to feed your baby as she grows or are wondering how to calm a colicky baby, you’ll find the answers you need quickly.